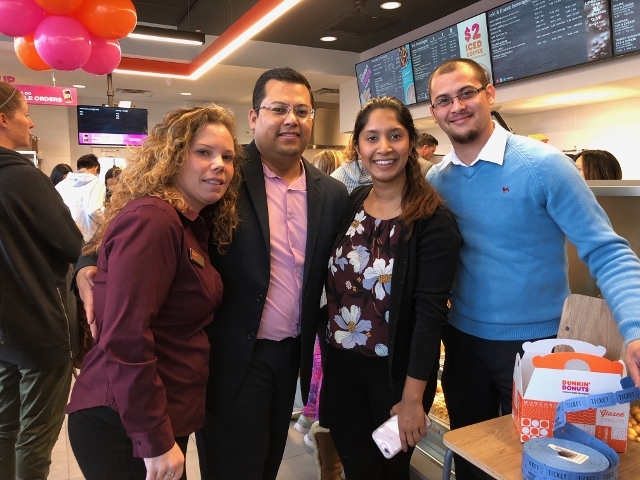 Photos and video by Kirsten Fasy/Dunkin’ franchisee Arun Mandi, center, joined Ventnor City officials to cut the ribbon on the grand opening of the next generation Dunkin’ store Saturday, Nov. 3. 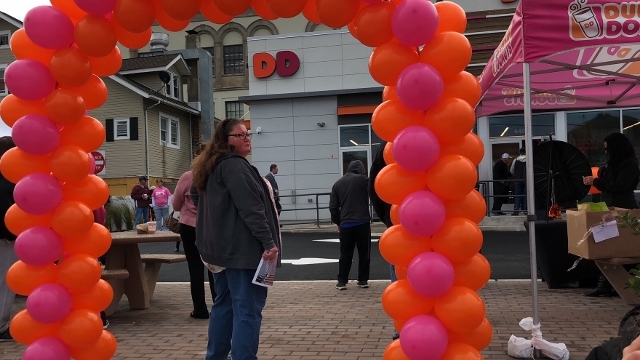 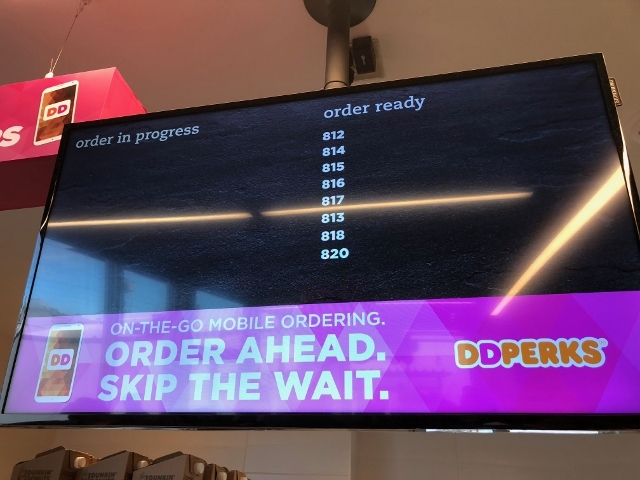 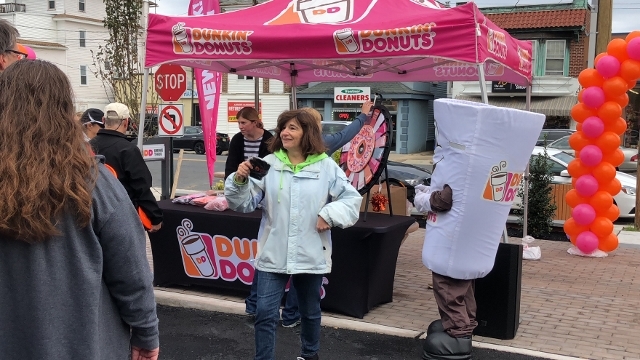 VENTNOR – The long awaited grand opening of Dunkin’ was a spectacle that pleased those with a sweet tooth and some who just like a real good cup of joe. 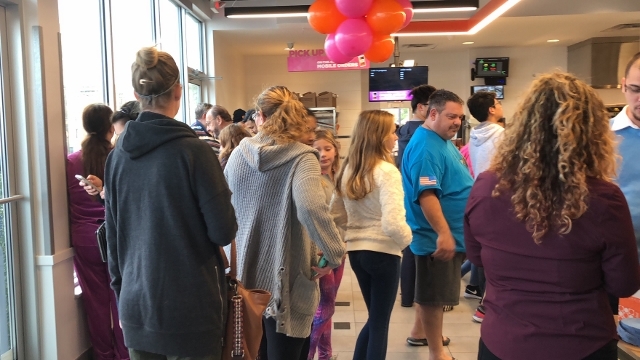 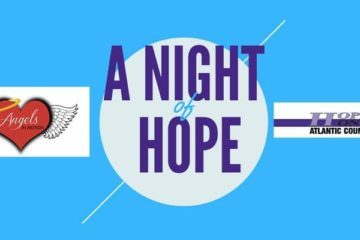 The first 50 people in line Saturday morning, will be running on Dunkin’ all year long as they were the ones selected to receive a free coffee for the next 365 days. 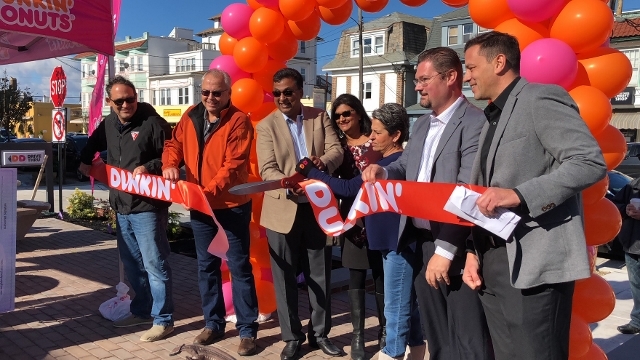 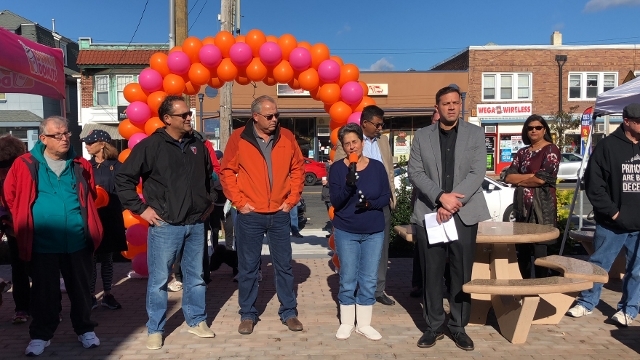 Mayor Beth Holtzman said she was pleased that the company, owned by franchisee Arun Mandi, chose Ventnor to showcase the next generation of Dunkin’ stores. 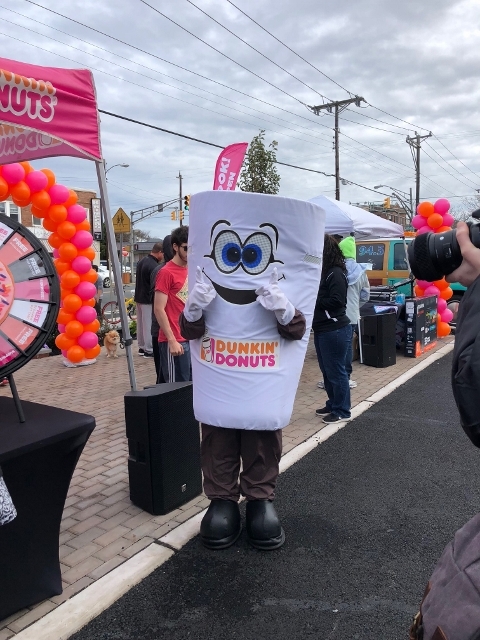 Commissioner of Public Safety Tim Kriebel welcomed Dunkin’ to the city and said the store would “invigorate” the downtown area. 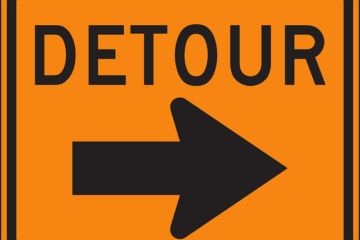 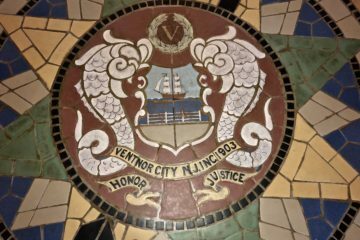 “This is bringing people to the City of Ventnor downtown at all times of the day,” he said. 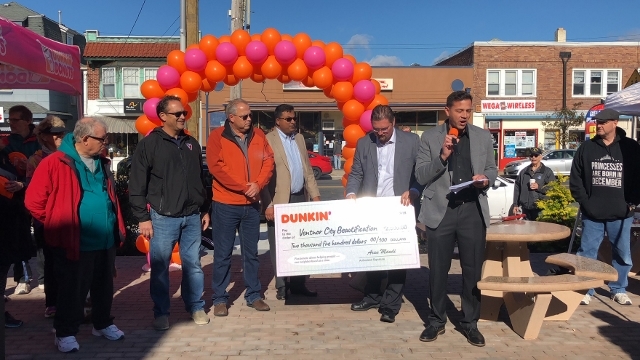 “We are proud and excited to present this next generation Dunkin’ with all its features, enhancements and fantastic design and layout to such great people,” company spokesman Frank Frandino said before presenting a $2,500 donation to the Ventnor City Beautification Committee, which works to enhance the city’s appearance. 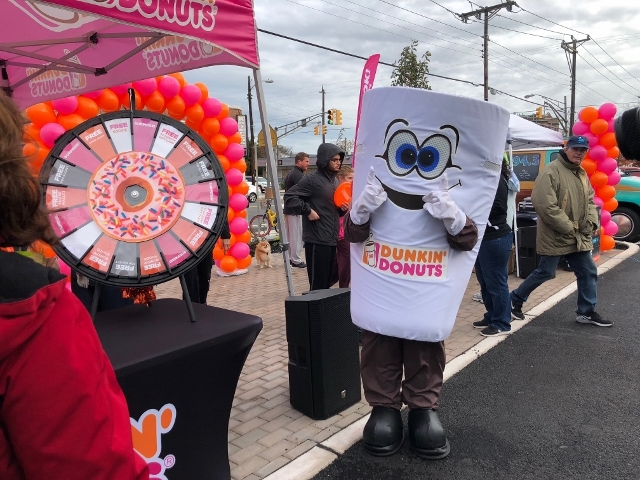 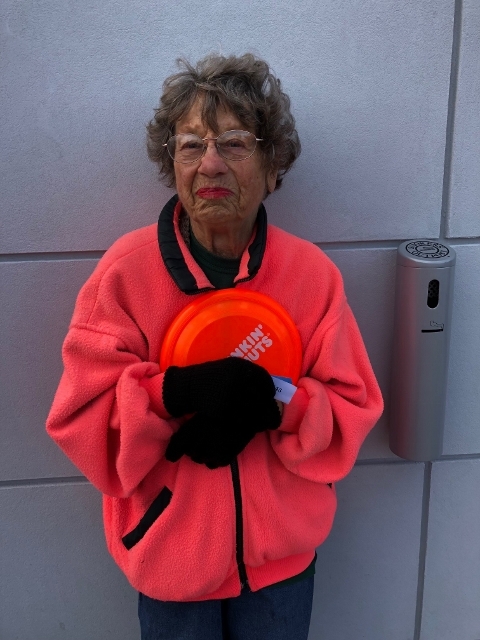 Residents turned out in force to welcome the new owners and staff and had the opportunity to win prizes, including an Amazon Echo Spot, signed Eagles gear, a 50” TV and Dunkin’ gift cards.